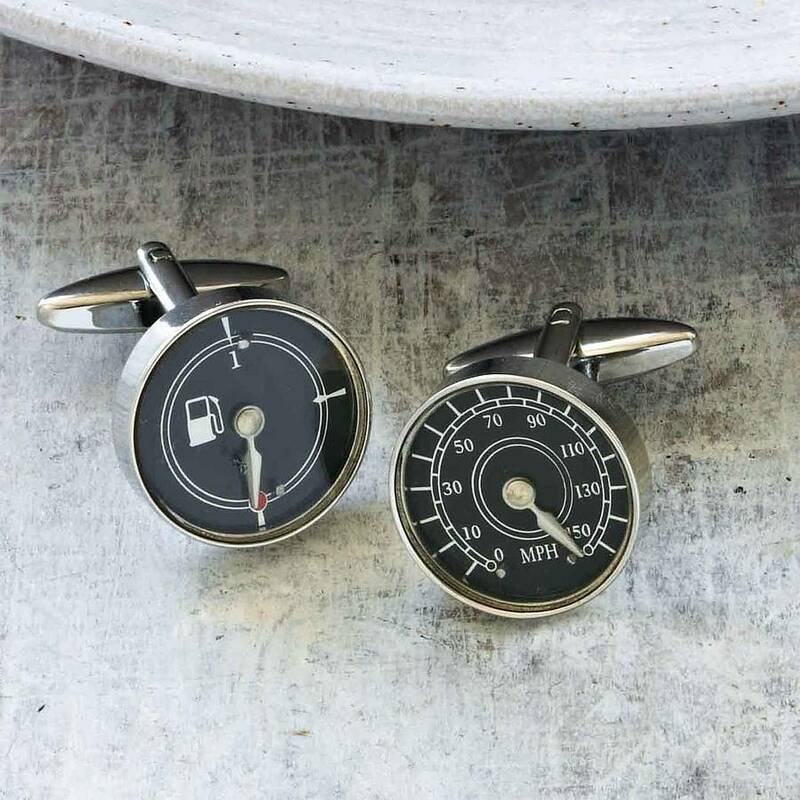 A fantastic set of car inspired cufflinks featuring a traditional speedometer and a petrol guage, both with moving dials. 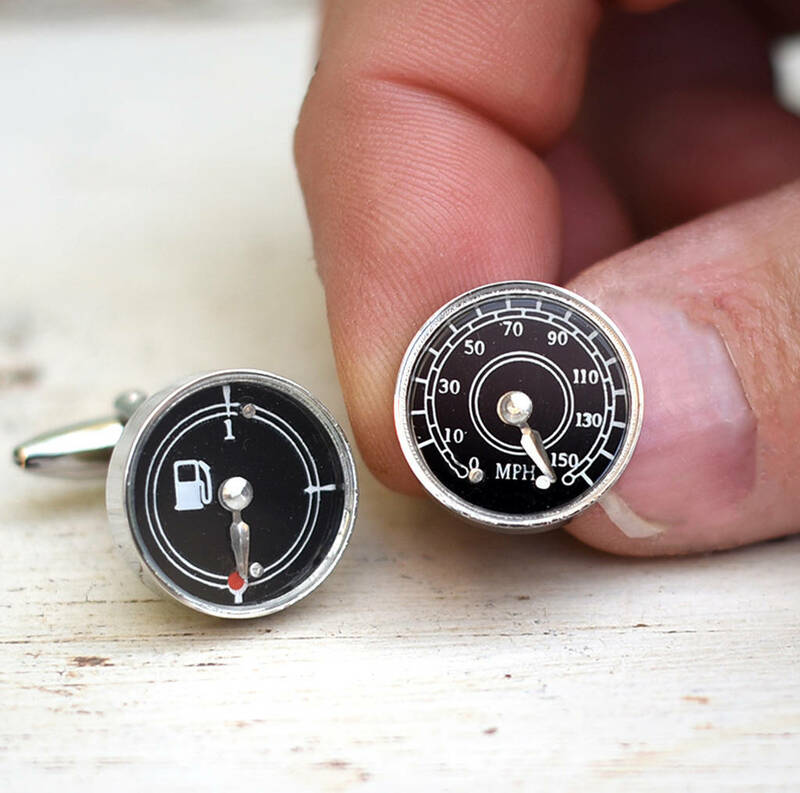 Great cufflinks for any man who loves his car. The cufflinks have a speedo on one link and a petrol guage on the other. Complete with swivel posts to suit any shirt and for easy fastening. The cufflinks come as standard in a mock-croc effect cufflink box. 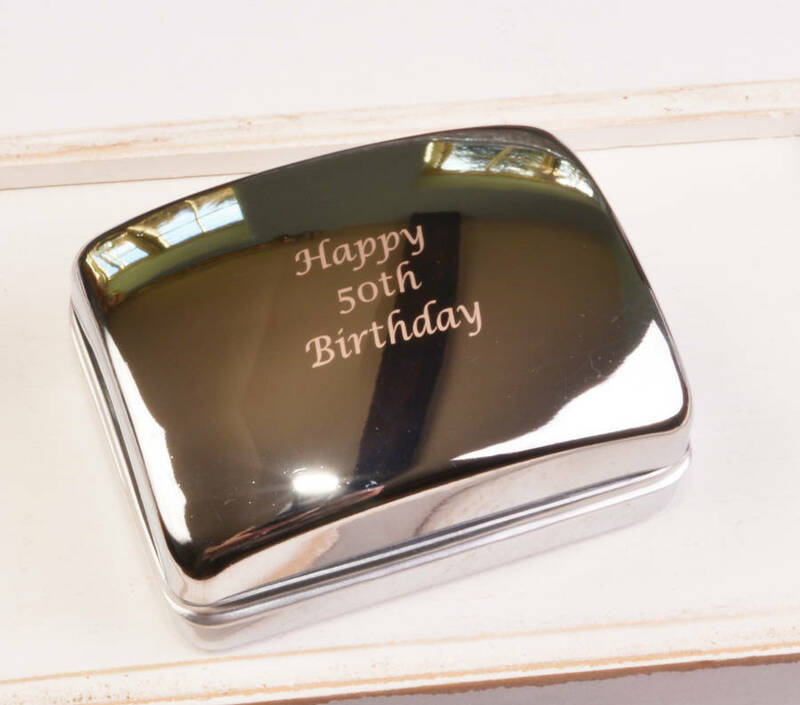 To make it an extra special gift we can send the cufflinks in an engraved metal cufflink box (+£20). Perfect for Birthdays, Father's Day, passing your driving test or just as a lovely treat. Made from rhodium plated metal for a hard wearing and tarnish free finish.